When it comes to warmth and energy costs, batt insulation is the key way to make your home energy efficient. Typically used in the attic, walls, floors, crawlspace, and in basements, this type of insulation helps to trap heat during the winter months and keep the living areas cooler during the summer. Whether you are looking to save on heating bills during the winter or just want a quieter home, batt insulation can help. This type of insulation is typically sold in rolls or in pre-shaped panels. When it is used to insulate walls and ceilings, it is able to fit between the studs without leaving any space. As long as it is installed properly, batt insulation can reduce energy costs for heating or air conditioning by 20% during the year. It does a great job limiting air flow and stops heat from transferring out of the home. Batt insulation has many beneficial qualities, but cost and effectiveness are the main reasons homeowners choose to use it. 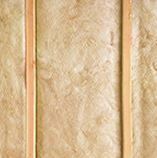 It is one of the cheaper ways to insulate a home and can be installed quickly. Since it is flexible, it can fit in most spaces and blocks any gaps. Initially, you will be able to save money when you purchase batt insulation. Over the long term, the energy efficiency benefits will make up for installation costs. Made out of recycled glass and sand, this insulation is naturally fire retardant. While it reduces the risks of fire, it also makes your home quieter. The fiberglass materials help to block out outside noises and lower the sound intensity within the home. Since it is normally made of recycled materials, it also offers a greener, more environmentally sustainable way of living. For more information about batt insulation, contact USI online to get a free quote. USI believes that excellence in every step of the process and ensures timely completion and quality of service, time after time.